Top-Rated Credit Cards - ApplyNowCredit - Compare Credit Card Offers Now. Finding the perfect credit card can be a difficult challenge especially when times are tough and you have poor, bad, limited or no credit. We've taken the headache of identifying banks that are willing to work with your credit score. Each of these cards have been careful selected based on bank requirements and clear credit terms. Simply browse through the credit cards below and apply for the one that works best for your immediately needs. 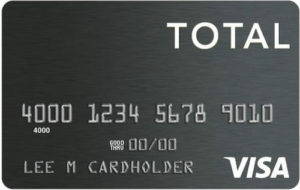 The TOTAL Card is available to people with fair, poor, or limited credit! Complete the fast and easy online application and get a response in seconds. Credit One Bank® is one of America’s leading credit card providers, serving over 5 million customers nationwide. Credit One is committed to providing customers with credit card products that offer more value through cash back rewards and free online monthly credit score tracking. Have you been denied credit in the past? Net First Platinum is available to help people meet their financial needs. Our fast and easy application could be just what you need. A $500 credit line could be available to you faster than you ever thought possible. The Net First Platinum card is a part of the Horizon Card Services family of credit products. Since 2006, Net First Platinum has since established itself as one of our premier brands with thousands of highly satisfied card holders. Please see Terms and Conditions for specific card features and benefits. It is easy to complete our online application. The Surge Mastercard® is designed for people with less than perfect credit. If you make on-time minimum payments and maintain your balances under the credit limits, you may be able to build, rebuild, or reestablish your credit! The Surge credit card is designed for people with less than perfect credit who want to get back on track. After you complete our short and easy online application, your results will be ready in a matter of seconds! Don’t miss this chance to Surge! Why Choose the Surge Card? If you have poor credit and are trying to improve your credit score, using a credit card responsibly may help. The Surge Mastercard® will report your payment activity to the three major credit bureaus on a monthly basis. Maintaining a low balance and paying your bill on time every month are two of the best practices for positive credit. Please review the credit card applications for specifics into the terms and conditions. We strive to display current and up-to-date information. Nonetheless, all credit card offers are displayed without guarantee. To affirm terms and conditions, tap the "Apply Now" to learn more about the credit offer on a secure page provided by the card issuer(s).